Morocco topped North African countries in the Doing Business report taking the 60th place globally. Morocco came second in the Arab world behind the United Arab Emirates in the report that assesses the business climate in 190 countries. The annual report published by the World Bank indicated that Morocco improved its performance when it comes to doing business. According to the report ranking, Morocco tops the Maghreb with 71.02 points out of 100. In the Arab World, the country is ranked 2nd behind the United Arab Emirates which leads the Arab countries list. The North Africa Kingdom has managed to improve its position in the annual survey, making it ahead of Bahrain 62nd, Oman 78th, Tunisia 80th, Qatar 83rd, Saudi Arabia 92nd, Kuwait 97th, Jordan 104th, Egypt 120th, Lebanon 142nd, Mauritania 148th, Algeria 157th and Libya 186th. Commenting on Morocco’s performance, the authors of the survey indicate that the Kingdom facilitated starting business and simplified preregistration and registration formalities. 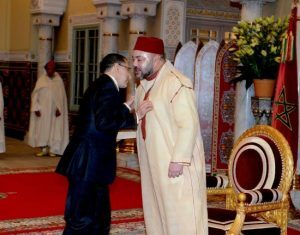 Head of the government Saad Eddine El Othmani said the report reflects the trust that the business community has in Morocco’s investment climate. The report assesses countries on the basis of 10 major indicators including the attractiveness of every country for investors. Written by: Jaber Ali on November 5, 2018. Posted by Jaber Ali on Nov 5 2018. Filed under Headlines, World News. You can follow any responses to this entry through the RSS 2.0. Both comments and pings are currently closed.